The Swiss Boy Team has been installing BEAM Central Vacuum Systems along the Wasatch front for over 30 years. 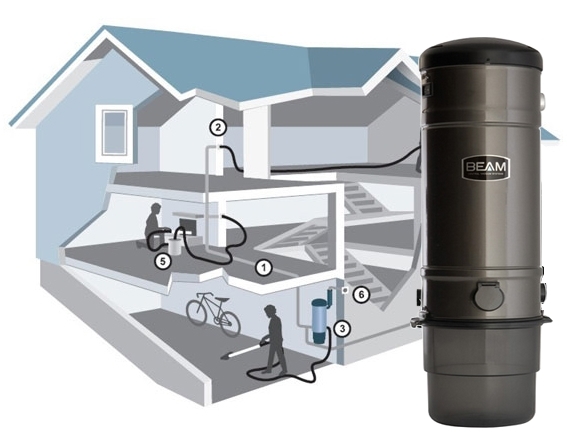 Thousands of homes and businesses have enjoyed the benefits of owning a BEAM Central Vacuum System. Swiss Boy installers are fully insured and you will find our installers have worked with us for many years. They strive for excellence, cleanliness, being efficient and very knowledgeable. We do not use sub-contractors at all, and We also give free estimates on new and existing homes, with either a walk through or blue prints of the home. We use only the highest quality pipe, fittings and wire. Many other companies take short cuts with cheaper supplies and using sub-contractors for installation. With many years of experience and high quality supplies, your system will last a very long time time with no maintenance.